The last few months have been filled with toddler tantrums, new discoveries and the joy of introducing Duplos for the very first time. Amidst all of the fun and games, the hubs and I have been trying to teach a few life lessons like the value of hard work and that we don't steal our sister's toy fox to make her cry. Along those lines, we've also started enforcing a few rules like having a clean bedroom before putting on our footed pajamas and climbing into the toddler bed for a good night's sleep. But with all of the new developments around here, my very favorite one has been the toddler's absolute and undivided passion for vacuuming. After getting wind of how desperately I hate cleaning my floors, the nice folks over at Oreck decided to help me out in my efforts to teach the toddler the meaning of the word chore and how it doesn't actually have to be something that involves a tantrum. They graciously sent out their newest vacuum cleaner, the Magnesium. And as if the name alone wasn't enough to make me want to bust out a cleaning move, they also sent out their Ultimate Handheld Vacuum Cleaner in an effort to entice me into cleaning my staircase. The first thing I noticed about the Magnesium was the weight. At a mere seven pounds, this baby feels just like that... a baby. It's easy to transport and with the carry handle in the back, I no longer have an excuse to leave it downstairs and ignore my living room floor. So with my lack of excuses, I plugged it in and started weaving my way across the carpet, only to have my toddler follow me around insisting that he wanted to HELLLP PEAS! The result is a child who has not inherited my feelings toward cleaning, as seen below. In fact, he insisted on being the one to clean his bedroom, at least until he forgot that he had to move backwards with the vacuum at the 28 second mark. As you can see in the video, he never ran over the cord thanks to the nifty little cord clip on the back of the vacuum. And the vacuum itself was clearly light enough to be maneuvered by a small person. AWESOME. As an added bonus, changing out the bag is just as easy as unzipping the front of the vacuum. And no, I did not let him change the bag by himself. YOU'RE WELCOME, INTERNET. But I know what you're all just dying to ask, How does this baby hold up to a freakish amount of postpartum hair loss? Many of you will remember that after having my first little one, I wrote about losing half of my hair IN CLUMPS. Yes, clumps. It wasn't pretty. This time around, I'm doing my best to avoid a Mr. Clean impression but I've still lost about forty percent of my hair. That, my friends, is no small feat for a vacuum to tackle. Not really knowing what to expect, I attacked the worst of the mess, my bedroom floor. After going over the floor once, I literally got down on my hands and knees and looked at the carpet close-up, searching for any leftover hair. There was none. I was giddy. So with clean bedrooms, I knew that it was time to face the inevitable, my staircase. My last vacuum weighed about a hundred pounds so dragging that piece of junk up and down the stairs was tantamount to being forced to listen to the Barney theme song. On repeat. I threw the strap to the Ultimate Handheld Vacuum over my shoulder and attacked my stairs with the hose. The various attachments made it easy to clean even the tiniest of spaces and even I have to admit that it was awfully satisfying to see the dust disappear from the corners of our stairs. Maybe just satisfying enough that I will keep up with the cleaning from now on. So whether you're battling hair loss that rivals that of Yule Brenner or trying to get Cheerio powder out of your carpet, Oreck will do the job for you. And just because they wanted to spread the love, they're offering one of you the new Magnesium upright vacuum AND the Ultimate Handheld Vacuum too! This giveaway will run from January 11 through January 17 at 12:00pm CST and is only open to residents of the lower 48 U.S. states. The winner will be selected via random.org and will have 72 hours to respond to email notification before another winner will be chosen. The fine print: I was not paid to write a post about Oreck or their fabulous products. Oreck Corporation provided the prize for the sweepstakes but is not the sponsor of the sweepstakes. I was provided with a free upright and handheld vacuum package for the purposes of this review but that did not affect the content of this post. Everything I wrote is my honest opinion about Oreck and their products. oh, it has a HEPA filter! very cool! mlco33@gmail.com I love the it has different levels (for carpet, hardwood, and tiles) and has a 360 degree spin. Wow! 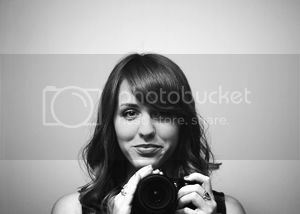 I learned that the magnesium is only 7 pounds and cleans up postpartum hair loss. we totally have that going on over here too! It comes with a telescoping extension wand which is great for short people like myself. I like that it lays flat to get all that nasty dog hair and cheerios under furniture! Besides the fact that it's light weight, I love the 30 ft cord! So great to be able to do multiple rooms and the hallways! I LOVE that it lays flat for under furniture! We have 2 cats AND 2 kiddos, so who knows what is lying underneath! I learned that it's gentle enough for fine Oriental and Persian rugs. Love that it weighs less than 8lbs! I hate lugging the vacuum up and down the stairs so that's awesome. I learned the Oreck Magnesium has twin LED headlights. Now those could be very useful, especially on my dark area rug. I love that the Magnesium lies flat to go under furniture. From your post, I learned that I really need to put my 21 month old son to work, now! 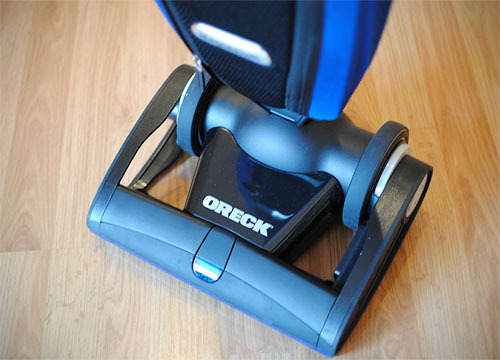 From Oreck.com, I learned that I really need a vacuum with a HEPA filter because my husband and I both suffer from allergies. I learned that it is the lightest of the Oreck uprights! 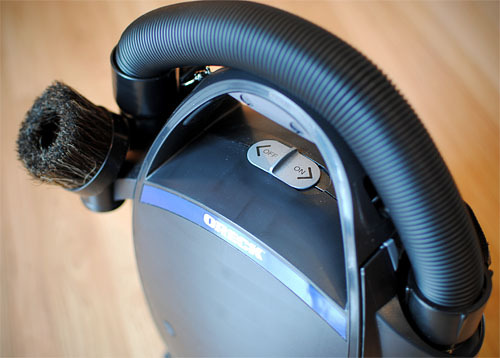 I learned that the two speed Quickswitch™ on the back of the vacuum enables you to move smoothly across all floor types using appropriate power levels: high for carpets and low for hardwoods and tile. I love that the Magnesium has a HEPA inner bag! None of the junk can get out! I learned that the Magnesium vaccuum is 7.7 pounds and has 2 led headlights. I learned it has a 30 foot cord and can go from carpet to floor. I learned that it has a telescoping extension wand-I would love this feature. I learned it has 102 mph of suction power... Or something like that... Hehe! The feature I found most intriguing is the installed HEPA filter. I love that it has a 30 foot cord! Love the HEPA filter and the long cord! We have two cats and tons of fur and I can't STAND it! This would be so awesome! Love that it has great suction(I have ceramic tile and really need something that picks up all the winter/summer debris before mopping). 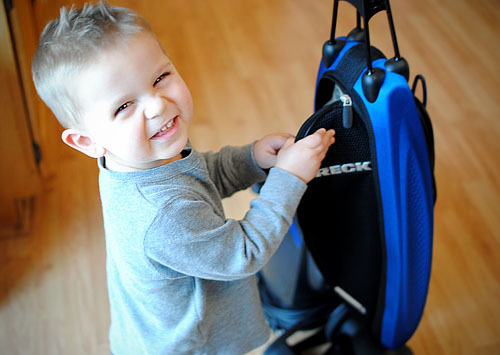 Also, love that it is so easy to use and lightweight that my toddler grandson Nathaniel can vacuum! I am so impressed that it is only 7.7 pounds!!! I would actually be able to vacuum again next week!! One thing I learned was that it has a 30foot long cord! I'm keeping my fingers crossed, would love to win this and toss out my vacuum that doesn't live up to its name! And sorry, I forgot to leave my email. Its melt003@hotmail.com. Thanks!